I am a Google Analytics Individual Qualification (GAIQ) certified Digital Analyst. I can help you visualize your Analytics data in Google Data Studio to increase your likelihood...Read moreI am a Google Analytics Individual Qualification (GAIQ) certified Digital Analyst. 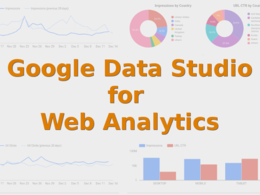 I can help you visualize your Analytics data in Google Data Studio to increase your likelihood of finding timely information. I have been using these tools from the time they have been launched. I have a holistic view of Digital business with a career that spans 17 years in varied roles of Digital marketing, Product management and Business development. Thank you for the opportunity and the kind words Alex. It was great working with you. We are looking for a Data Studio expert. Really professional service and knowledge. Quite professional in handling complex conversion matters in GA. Our communication was professional and optimized to the task. Alex, thank you for the kind words. Would love to work with you again. Excellent to work with & follows instructions well. Thank you for the opportunity and also the feedback.